Mmmm…chocolate. It’s pretty much a toss up who’s the biggest chocoholic in the house. I probably win, but only by a short margin. Cadence is as fond of chocolatey treats as her Momma, and Steve…well, he may not crave chocolate the way Cadence and I do, but he can sure put a hurtin’ on a buttermilk chocolate cake, and the two of us often go egg for egg during the Easter season when Cadbury Creme Eggs are in stock. We found out this morning that Cosette is one of us. 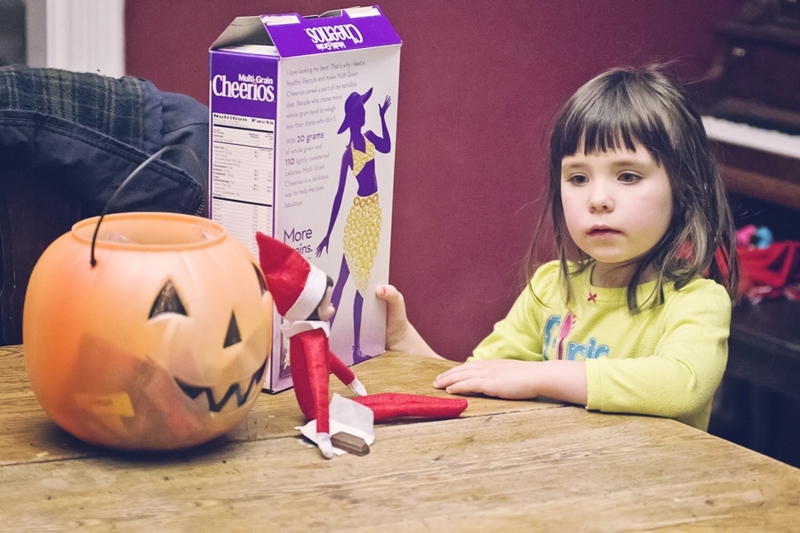 I half-expected Cadence to be a little peeved that the mischievous little elf apparently raided her Halloween candy (a.k.a. 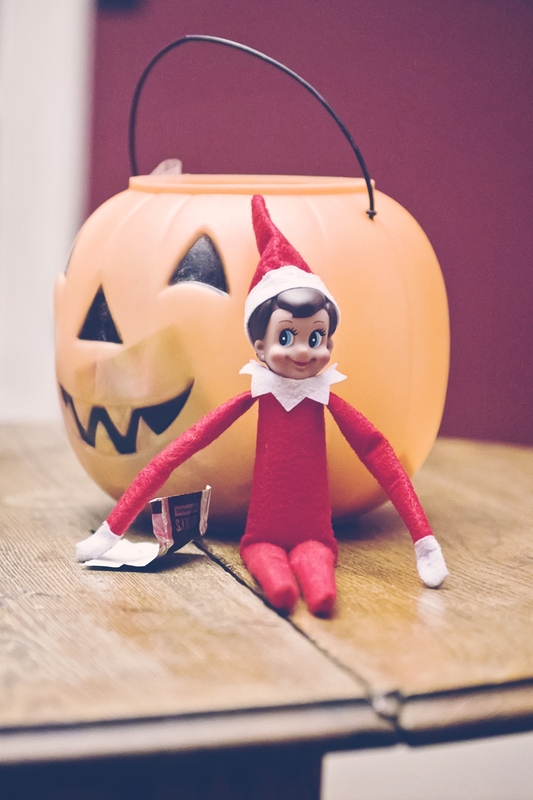 Mom and Dad were getting so stressed out by the mid-season finale of The Walking Dead that they needed a little chocolate to calm them down and the only thing in the house was the leftover Halloween candy–go ahead, judge us, but if you are a fan of the show, you’ll understand). 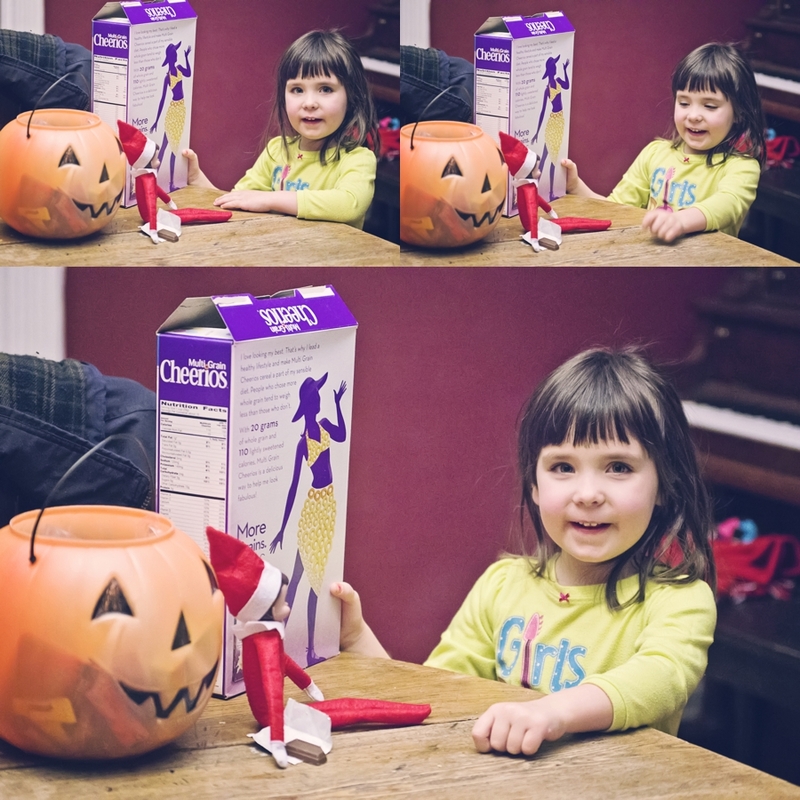 Yet, Cadence didn’t seem to mind, especially when she noticed that Cosette had only taken one smile bite of the Hershey bar and left Cadence the rest to eat for breakfast. Nothing like starting the first Monday back from vacation with a bit of chocolate for breakfast. Yeah, that’s how we roll around here.